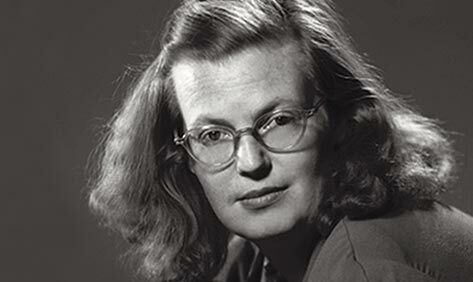 When Shirley Jackson’s short story “The Lottery” was published in the New Yorker in June 1948, the now-famous tale about the annual and arbitrary selection of a candidate for execution in a small town caused such deep disquiet amongst subscribers that they were compelled to verbalize it, in letters… lots of them. There were letters of condemnation (Jackson’s “perverted genius” caused one reader to lament “the fate of American letters”), theorizing letters (“perhaps the author meant we should not be too hard on our presidential nominees…”) and expressions of plain and simple bemusement (“my only comment is what the hell?”) People felt judged by “The Lottery.” Jackson professed herself unable to understand why this was so. The author said as much in her essay on the public response to her story, which is included in the welcome new Library of America collection of her writing. But there’s something in the story’s tone — the chilling, matter of fact detachment. Even the town’s youngest children are required to choose a lottery ticket, and we watch as one is helped to do so, laughing as he takes his ticket, not understanding what it means. More than anything, “The Lottery” conveyed an overwhelming impression of fact to its readers. The letters that accuse the New Yorker of publishing journalism under the auspices of fiction bear testimony to a nagging sense of realism that characterizes much of Jackson’s storytelling, even (and especially) when she speaks to us of logical impossibilities. As the title itself suggests, Jackson’s 1959 novel The Haunting of Hill House dives head first into the world of the impossible, detailing the events that unfold over the course of a week and a half’s psychic investigation in the haunted mansion of the title. Hill House is a deeply uneasy read the first time around, actively disturbing the second time, and is liable to bring on something like a crisis of the nerves at the third re-reading. As to why — the protagonist, Eleanor Vance, is sensitive, lonely, wistful and has had an unhappy life. Eleanor sees and hears things that the others in the group can’t. It isn’t long before fear consumes the entire range of sensory experience. Hill House is certainly touched by the supernatural, we know it from the writing that appears on the walls of its bewildering corridors, the cold that “feels deliberate,” the rapping on the bedroom doors at night. But this is also the story of a group dynamic, and beneath those other two layers it is the story of a strange, sad, almost tender seduction. The other investigators, Luke, Theodora, and Dr. Montague, are cruel to Eleanor, cruel when they think they are being kind (“Can you find your way home?” Eleanor is asked, having been ordered to leave the house despite explaining that she has nowhere else to go.) One afternoon Eleanor hides and waits to see what will be said about her. Nothing is said; she is the only member of their temporary household who goes unmentioned. It’s this that drives Eleanor into the mind of Hill House — a sick mind, we are told — as irresistibly as she would have been drawn to a true lover. I would have liked to come into the grocery some morning and see them all…lying there, crying with the pain and dying. I would then help myself to groceries, stepping over their bodies, taking whatever I fancied from the shelves, and go home…I was never sorry when I had thoughts like this; I only wished they would come true. As a self-portrait of a psychopath, this novel derives its fierce energy from the structure of its narrator’s mind. Like the architecture of Hill House, Merricat’s inclinations and behaviours are a series of tiny aberrations that add up to a fairly large distortion in the whole. It shouldn’t really be a delightful read, but it is. We Have Always Lived in the Castle is a novel you might, momentarily, hesitate to recommend to others, because its twisted truths invite a complicated resistance that could end, as it did for some readers of “The Lottery,” in a shooting of the messenger. Jackson’s talent is just the kind Emily Dickinson wrote about: “If I read a book and it makes my whole body so cold no fire can warm me, I know that is poetry. If I feel physically as if the top of my head were taken off, I know that is poetry….” Dickinson remembered what we sometimes forget — that great literature isn’t always heart-warming. Sometimes it worries you by dropping hints about this reality we have all so blithely agreed to share. Sometimes it ever so nonchalantly follows you home in the dark. Helen Oyeyemi is the author of the novels The Icarus Girl, The Opposite House, and White is for Witching.